How much life insurance do you need? It’s a question that I’m often asked, and one that mixes plenty of facts with emotion. Here is my two cents. The main reason most people should buy life insurance is to minimize the financial hardship that their dependents will incur if they die. Notice I said “financial” hardship, not “emotional” hardship. Unfortunately, no amount of extra money will mitigate the emotional trauma of losing a loved one. Here’s a simple example. Assume you make an annual $150,000 salary, and your spouse doesn’t work outside the home. Assuming you pay a third in taxes, your take-home pay is 100,000. Therefore, your family would lose $100,000 per year if you died. The main reason to purchase life insurance on yourself is to replace this annual $100,000. How about your spouse? Even if he/she doesn’t have earned income, his/her death still could cause financial hardship. Let’s assume your spouse is caring for your two children. Life insurance would still need to be purchased to cover the cost of caring for the children. 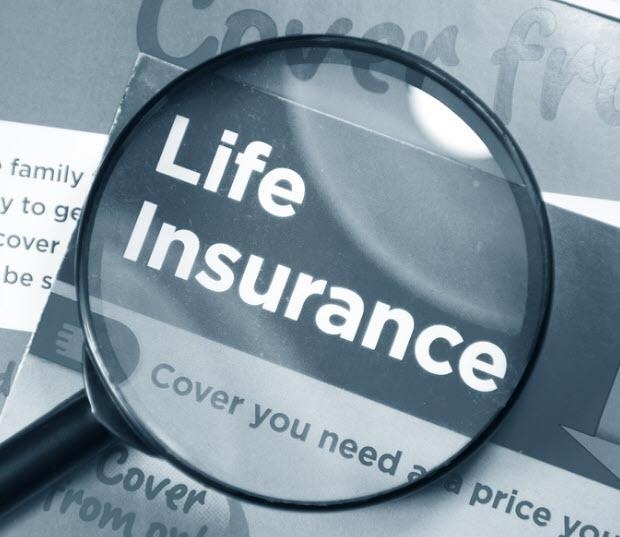 How much life insurance should you buy? Here’s my simple rule of thumb, referring to the $100,000 after-tax figure above. You need to purchase enough insurance that you can invest the proceeds at death, earn a conservative 4% per year, and receive a $100,000 per year for 25 years. Input it all in a calculator and you come out with $1.56 million. Rounding up to $1.75 or even $2 million would be smart in many situations. Obviously every situation is different. What type of insurance should you buy? This topic opens many doors of discussion, but I suggest that your main priority should be to purchase the amount of insurance you need. “Term” insurance is much cheaper than cash-value insurance such as “whole life,” “variable life”, “universal life,” etc. If term insurance is the only insurance you can afford to purchase, then purchase term. Security trades executed and custodied at tca by ETrade. Anchor Financial Group ("AFG") is a registered investment adviser offering advisory services in the State of California and in other jurisdictions where exempted. Registration does not imply a certain level of skill or training. The presence of this website on the Internet shall not be directly or indirectly interpreted as a solicitation of investment advisory services to persons of another jurisdiction unless otherwise permitted by statute. Follow-up or individualized responses to consumers in a particular state by AFG in the rendering of personalized investment advice for compensation shall not be made without our first complying with jurisdiction requirements or pursuant an applicable state exemption. All written content on this site is for information purposes only. Opinions expressed herein are solely those of AFG, unless otherwise specifically cited. Material presented is believed to be from reliable sources and no representations are made by our firm as to another parties’ informational accuracy or completeness. All information or ideas provided should be discussed in detail with an advisor, accountant or legal counsel prior to implementation.